BODY WORLDS is the Original Exhibition of Real Human Bodies - seen by 45 million visitors globally. 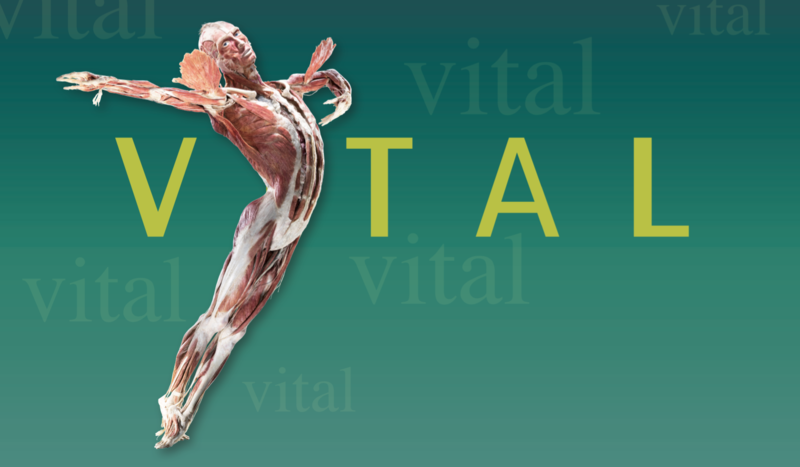 Vital celebrates the potential of the human body and the body in motion. It educates visitors about human health, wellness, and disease. By making healthy living practices an integral part of our lives, we can innoculate our bodies from a host of illnesses and medical conditions. The exhibit inspires visitors to assert themselves and to claim responsibility for their own health and well-being.